When I was still very young my grandfather started to teach me about birds, mammals and fish from his library, which sparked my love for wildlife. I have always been happiest when outside and in the bush. Throughout my entire school career I knew that that was where I wanted to be as soon as I finished school. I then went to Saasveld where I studied Nature Conservation. 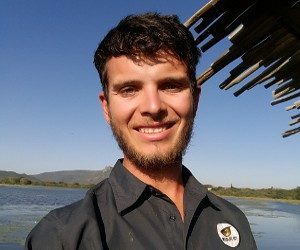 After a couple of different experiences in Natal and Limpopo, I managed to come across Wildlife ACT and knew that if I wanted to make a difference in conservation, that is where I needed to be. So now I get to live a dream and do real-time conservation that is making a difference for our endangered species.